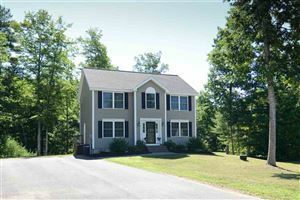 Ski New Hampshire — With Cross-Country and Alpine Options for All Levels | Perfect Choice Properties, Inc. The White Mountains region of New Hampshire – with its variety of attractive properties for sale – offers downhill skiing and snowboarding at more than a dozen easily accessed, family-friendly resorts and ski areas, including Loon Mountain, King Pine, Attitash, Waterville Valley, and Bretton Woods. Located just north of Perfect Choice Properties’ offices in the state capital of Concord, the White Mountains region features an impressive number of 4,000-foot peaks, 48 in all. The White Mountains do not have a monopoly on New Hampshire skiing, of course. Granite Gorge and Crotched Mountain in the Monadnock region are popular with local families, and the nearby Windblown Cross Country Ski Area draws cross-country enthusiasts from as far away as Boston and beyond. The 56-mile Northern Rail Trail in the Dartmouth-Lake Sunapee region, the longest rail trail in New Hampshire, is a great cross-country trail come winter. And, like most rail trails, it meanders through both countryside and small towns – providing home owners in those towns the opportunity to step outside their doors and start skiing within minutes. The members of the Perfect Choice team love living in New Hampshire and enjoying the Granite State lifestyle. Give us a call today to start the conversation about where your perfect home near our beautiful mountains might be. ← What Is the Difference Between a Competitive Market Analysis and an Appraisal?